91 MTRS. 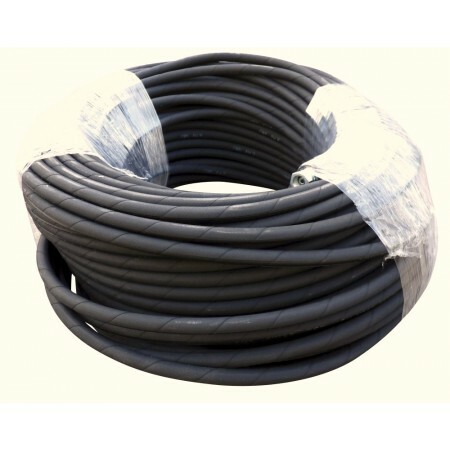 OF 1-WIRE, 250 BAR HIGH PRESSURE HOSE WITH STANDARD 1/4"F BSP ENDS.... MANY OTHER COUPLINGS AVAILABLE TO ADAPT TO YOUR MACHINE. HOSE IS FOR MACHINES UP TO 3600 PSI OUTPUT, WITH FLOW OF 10 TO 15 LITRES PER MINUTE.